Baby Box University is giving away free baby hampers to parents and these hampers include baby clothing and other health products. 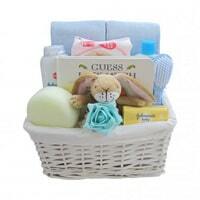 You just need to register for free and answer a few questions to get the baby hamper. Click on “GET IT HERE” button and register on their website and then watch a series of videos and answer a few questions after which the baby hamper box will be sent to you.